DETROIT (CNS) — To be effective at the task of evangelizing the culture, Catholics must first reflect and repent from the sins of years of institutional racism in the Archdiocese of Detroit and beyond, Archbishop Allen H. Vigneron said in a new pastoral note. Seventy-five years after the infamous civil unrest of 1943 that took the lives of 34 people and wounded 400 others in Detroit, a catalyst for decades of racial animosity and bitterness, Catholics in the Detroit metro area have a role to play in bringing Christ into the deepest recesses of lingering division by repenting of evil and recommitting to protecting the inherent dignity of all people, the archbishop wrote. “Our nation’s history has many tremendous accomplishments of which we should be proud. But it also bears the stain of many years of institutional racism whereby blacks — even after emancipation — were treated as second-class citizens or worse. Complicit in these sins were many who professed the Catholic faith,” Archbishop Vigneron wrote. To become a truly missionary archdiocese, Catholics in southeast Michigan must acknowledge the past with a forthright trust in the “life-changing power of Jesus Christ” to overcome sin and move forward in love, he said. 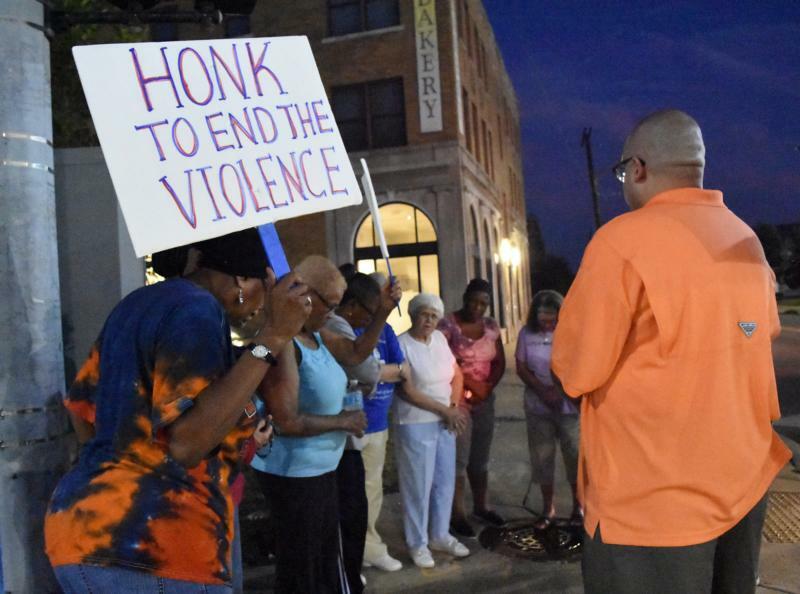 The fact that the archbishop has repeatedly addressed the topic since even before the 2016 Detroit synod that led to “Unleash the Gospel” is a sign that the issue is of paramount importance in the still racially divided city, said Msgr. Dan Trapp, pastor of St. Augustine and St. Monica Parish on Detroit’s east side and a professor at Sacred Heart Major Seminary. “This is a problem that has to be faced. It’s something we all need to be praying about and repenting — that is, thinking again — about,” Msgr. Trapp told The Michigan Catholic, Detroit’s archdiocesan newspaper. “We’re not in a post-racial society. Some people like to think we are; we’re not. Leon Dixon, director of black Catholic ministries for the Archdiocese of Detroit, said the archbishop’s repeated efforts to bridge racial divides have not gone unnoticed in the black Catholic community. While inner-city parishes that are predominantly black — some with churches built to house 1,000 to 1,500 parishioners — have suffered from dwindling congregations, Dixon said those who remain often feel isolated from the rest of the church. Dixon said Detroit’s much-celebrated economic revival is great for the city, but to repair the damage caused by decades of indifference and division, more outreach is needed. “This is the third or fourth ‘renaissance’ in Detroit since I’ve been alive,” he said. “I’m sure it’s going to reach Eight Mile (the city/suburb border) eventually, but when you’ve been here 30, 40 or 50 years and change hasn’t come to your neighborhood, and your neighborhood is bleeding — literally with blood in the streets — you lose hope. Along with the pastoral note, the archbishop also provided audio, video and text resources for parishes to engage in dialogue about the issue of racism. Those in the African-American community in particular, Archbishop Vigneron wrote, have many expressions of faith that enrich the life of the Archdiocese of Detroit, including a diversity of gifts given by the Holy Spirit. “We would be a much poorer church without the expressions of faith through prayer, music, and personal testimony proper to the black communities. And these expressions are a leaven to the Catholic Church,” Archbishop Vigneron said. Dixon pointed to January’s “Gospel Mass for Peace” at the Cathedral of the Most Blessed Sacrament — commissioned by Archbishop Vigneron and written by Keir Ward, a local black musician — as a concrete example of positive growth and outreach.